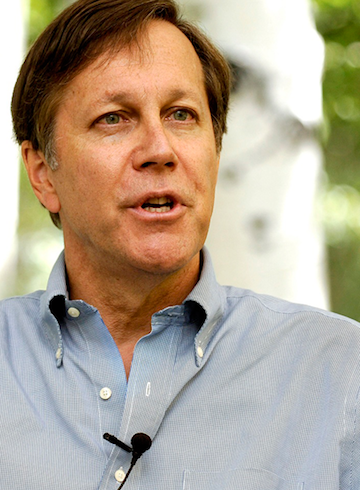 Dana Gioia is an internationally acclaimed and award-winning poet. Former Chairman of the National Endowment for the Arts, Gioia is a native Californian of Italian and Mexican descent. He received a B.A. and a M.B.A. from Stanford University, and an M.A. in Comparative Literature from Harvard University. Gioia currently serves as the Poet Laureate of California. Gioia has published five full-length collections of poetry, including 99 Poems: New & Selected. His poetry collection, Interrogations at Noon, won the 2002 American Book Award. An influential critic as well, Gioia’s 1991 volume Can Poetry Matter?, which was a finalist for the National Book Critics Circle award, is credited with helping to revive the role of poetry in American public culture. In 2014 he won the Aiken-Taylor Award for lifetime achievement in American poetry. Gioia’s many literary anthologies include Twentieth-Century American Poetry; 100 Great Poets of the English Language; The Longman Anthology of Short Fiction; Literature: An Introduction to Fiction, Poetry, Drama, and Writing; and Literature for Life: A Thematic Introduction to Reading and Writing. His poems, translations, essays, and reviews have appeared in many magazines including The New Yorker, The Atlantic, The Washington Post Book World, The New York Times Book Review, Slate, and The Hudson Review. Gioia has written three opera libretti and is an active translator of poetry from Latin, Italian, and German. As Chairman of the NEA, Gioia succeeded in garnering enthusiastic bi-partisan support in the United States Congress for the mission of the Arts Endowment, as well as in strengthening the national consensus in favor of public funding for the arts and arts education. Gioia’s creation of a series of NEA National Initiatives, combined with a wider distribution of direct grants to reach previously underserved communities, making the agency truly national in scope. Through programs such as Shakespeare in American Communities, Operation Homecoming: Writing the Wartime Experience, NEA Jazz Masters, American Masterpieces, and Poetry Out Loud, the Arts Endowment has successfully reached millions of Americans in all corners of the country. The NEA’s two critical studies: Reading at Risk and To Read or Not To Read: A Question of National Consequence brought enormous public attention to the importance of reading and arts participation. In addition, the NEA assumed a major role in shaping the national discussion on issues of arts and arts education. The Big Read became the largest literary program in the history of the federal government. By the end of 2008, 400 communities had held month-long celebrations of great literature. Because of these successes as well as the continued artistic excellence of the NEA’s core grant programs, the Arts Endowment, under Chairman Gioia, reestablished itself as a preeminent federal agency and a leader in the arts and arts education. Renominated in November 2006 for a second term and once again unanimously confirmed by the U.S. Senate, Gioia was the ninth Chairman of the National Endowment for the Arts. He left his position as Chairman in 2009. He has been the recipient of ten honorary degrees and has won numerous awards, including the 2010 Laetare Medal from Notre Dame. In 2011, Gioia became the Judge Widney Professor of Poetry and Public Culture at the University of Southern California where he teaches each fall semester. In 2015 Gioia was appointed the State Poet Laureate of California by Governor Jerry Brown.